The Sig Sauer 1911 Traditional Compact Stainless is a updated version of the classic model 1911 that features custom blackwood grips, checkered front strap, and a beavertail frame with a grip safety. It has a 7 round clip that fires .45 ACP ammunition. 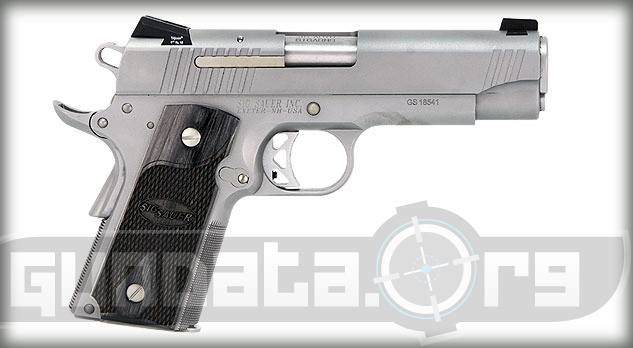 The overall length is 7.7-inches, with a 4.2-inch barrel. The slide and frame are natural stainless steel finishes with low-profile night sights made by Trijicon. 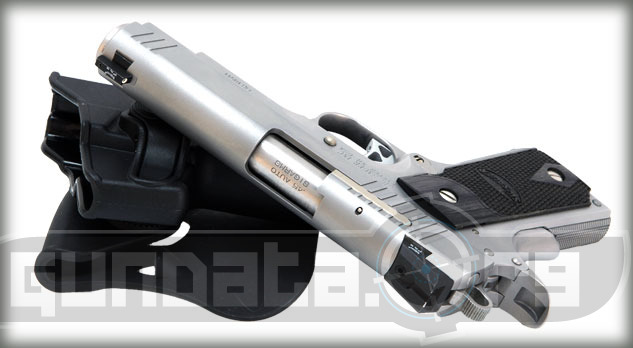 It is designed for personal protection, along with conceal and carry purposes. The trigger is an updated triangle three hole speed trigger. 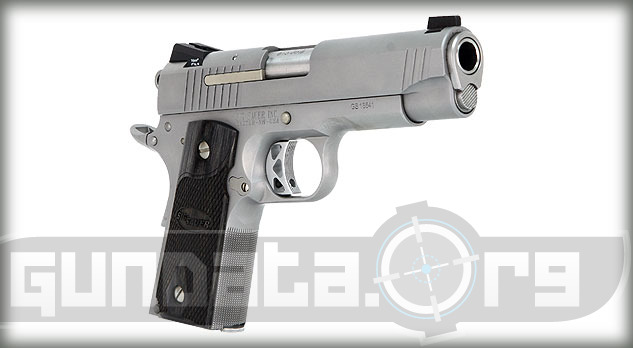 The Sig Sauer 1911 Traditional Compact Stainless has the traditional single side safety lever for right handed shooters, and can also be special ordered for left handed shooters. 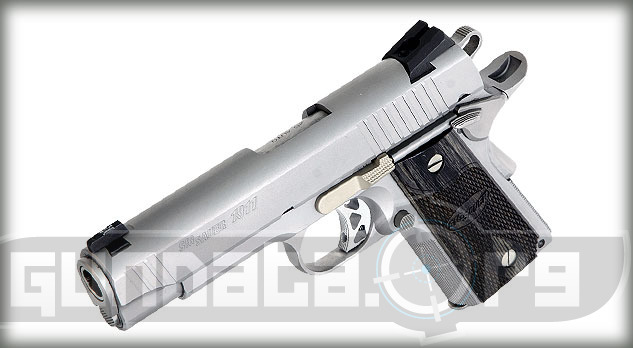 The 1911 barrel is the standard bushing, with short recoil guide rode and oblong style hammer. The trigger is a SAO that has a 5-pound pull. The slide has serrations near the back end for easier pull-back on the trigger to load rounds into the chamber.